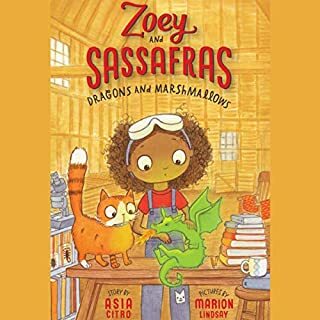 Best-selling author Claire A. Nivola has won multiple awards for her captivating books introducing historical figures to young audiences. 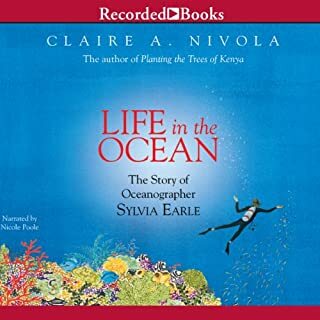 In this critically acclaimed profile of noted oceanographer Sylvia Earle, listeners follow Sylvia as her childhood adventures in the Gulf of Mexico help inspire her life’s work: discovering the secrets of “the blue heart of the planet”. At nine years old, Eugenie Clark developed an unexpected passion for sharks after a visit to the Battery Park Aquarium in New York City. At the time, sharks were seen as mindless killing machines, but Eugenie knew better and set out to prove it. Despite many obstacles in her path, Eugenie was able to study the creatures she loved so much. 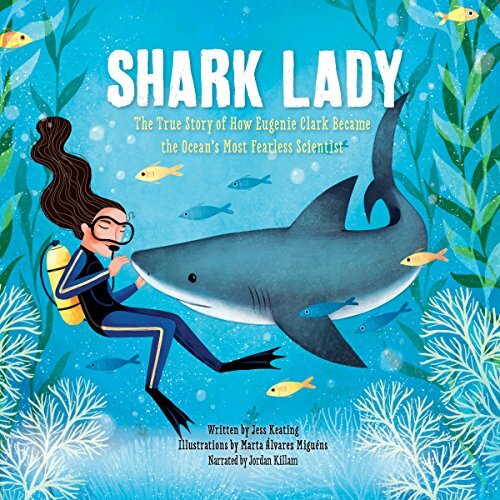 From her many discoveries to the shark-related myths she dispelled, Eugenie made wide scientific contributions that led to her being nicknamed Shark Lady.